Just want a simple gift card? Click the button below and enjoy convenient online shopping and check this one off of the list. Thank you! Our staff will be calling you shortly to setup your appointment. Your appointment is not confirmed until you speak with our staff. If you need immediate assistance please call us at 719-428-0355. 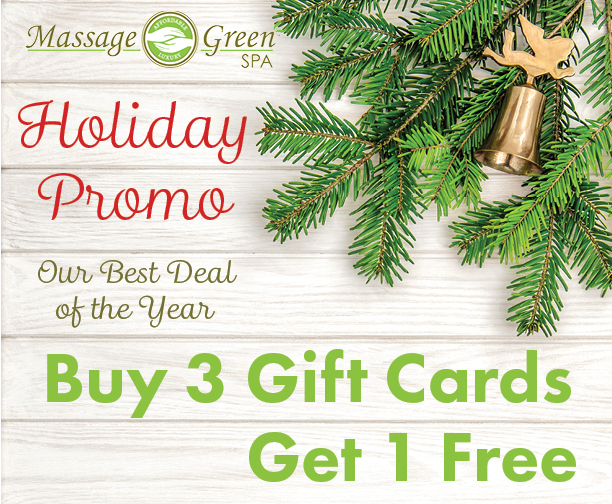 Massage Green Spa- Colorado Springs offers a full array of customized spa treatments in a convenient and relaxing location. The spa offers a high quality affordable spa treatment like no other. We employ licensed therapists and estheticians to work with you to ensure that you receive the best treatment possible. We believe in the therapeutic benefit of regular massage and facial treatments and strive to make these services affordable and accessible to as many of our neighbors as possible. Our spa is open 7 days a week and offers full retail hours to ensure that you have an opportunity for treatment that is convenient to your schedule.